March 3, 2011 - Back in September of 2008, we vacationed in California for a week to see if retiring out here would be something that we would enjoy. We drove around Glendale and Pasadena looking at homes but then we "discovered" the city of San Marino and fell in love with it. However, after Judy did some investigating on the Internet, we "discovered" that homes here generally go for about $1,500,000. So, it was "Hello Redlands!" 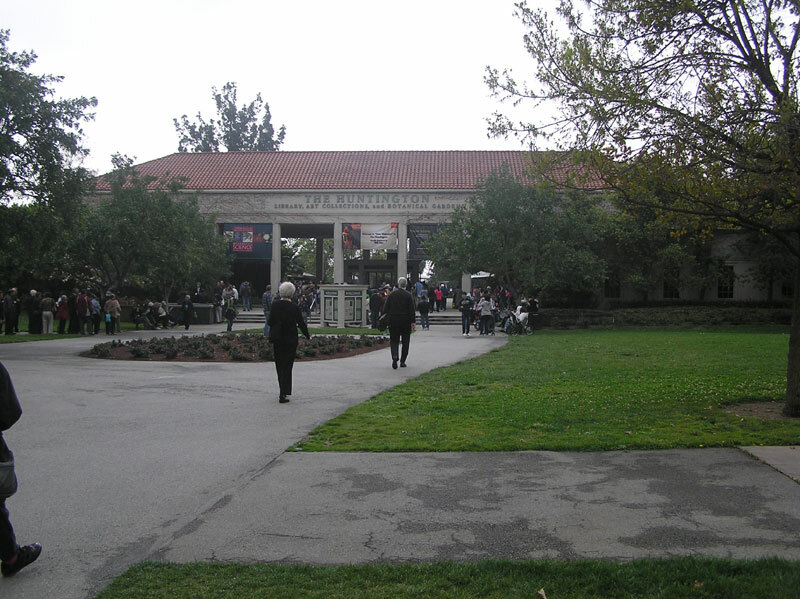 When we were in Sam Marino in 2008 we heard about the Huntington Library and Botanical Gardens, so today, March 3, 2011, we finally made it. 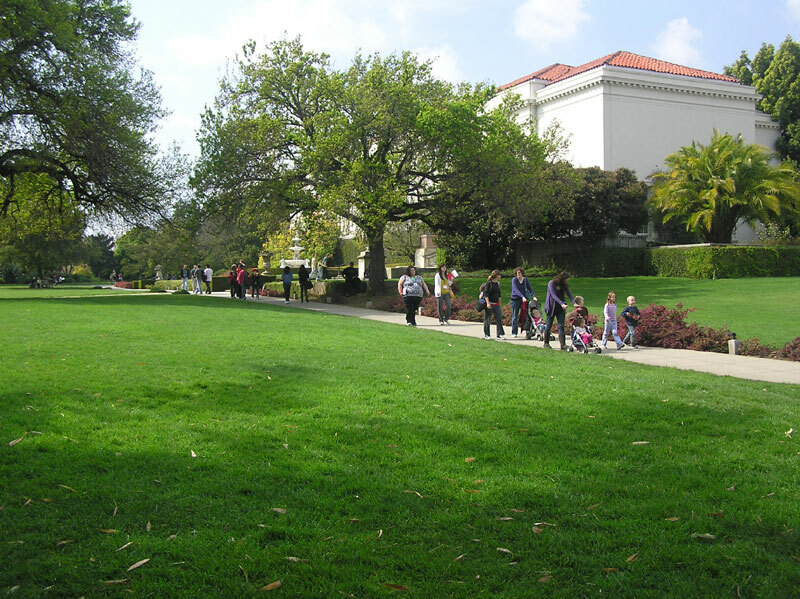 For a full history of the Huntington, please check the hyperlink above. 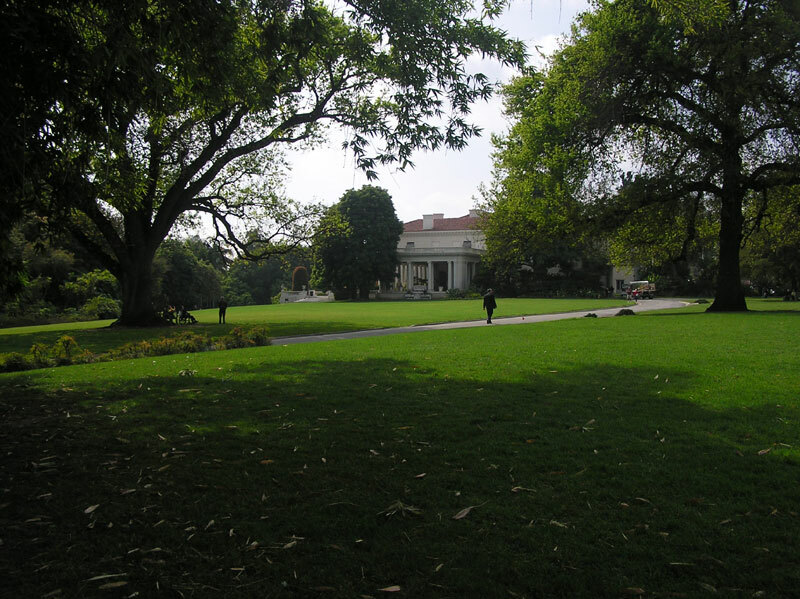 The short story is that Mr. Huntington was very rich and this 207 acre park was once his single family home and grounds. His library is a collection of rare books and manuscripts, which include: the Ellesmere manuscript of Chaucer's Canterbury Tales, a Gutenberg Bible, the double-elephant folio edition of Audubon's Birds of America and an unsurpassed collection of the early editions of Shakespeare's works. 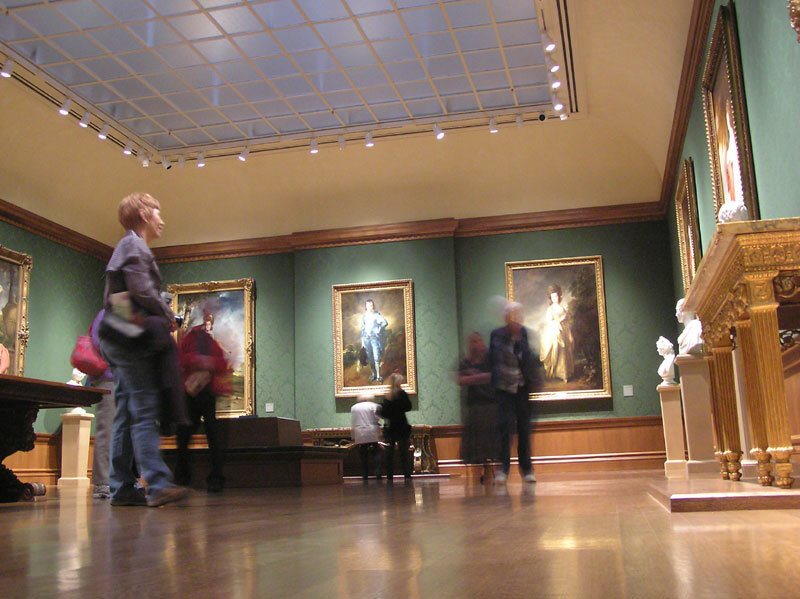 His home was built in 1911 and is now the Huntington Art Gallery. 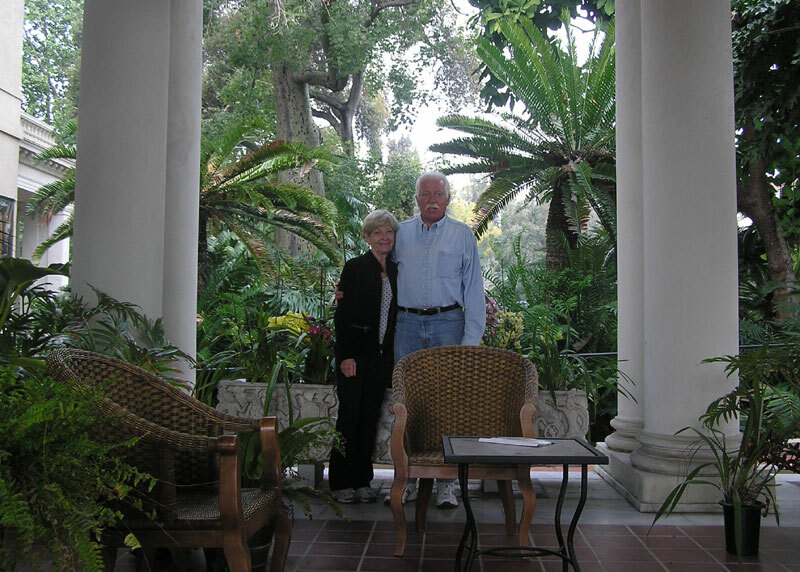 Here we are surrounded by orchids on one of its patios. 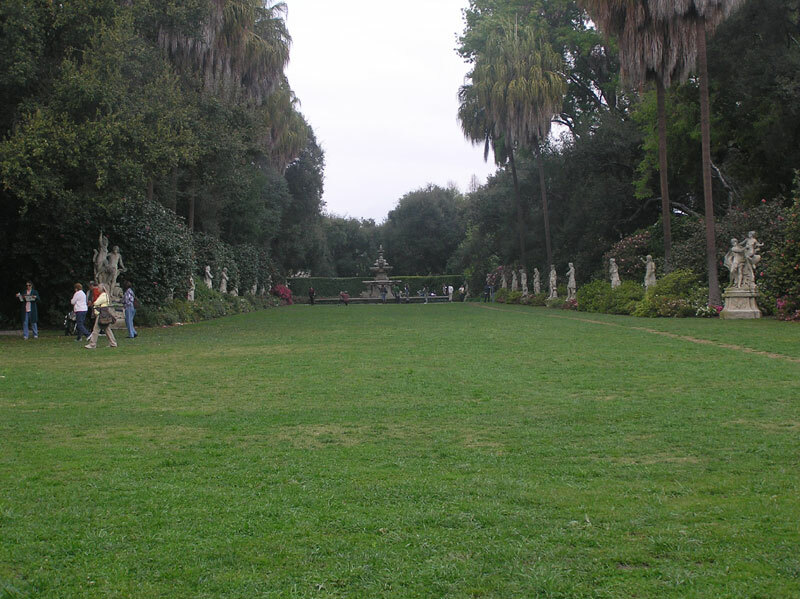 There are more than a dozen gardens covering 120 acres of the 207 acre grounds. 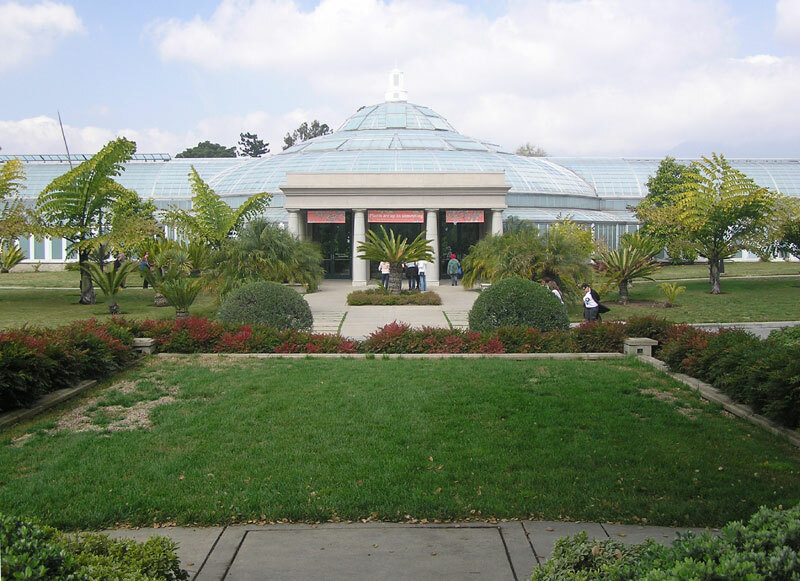 In addition, there is the Botanical Center on the property. 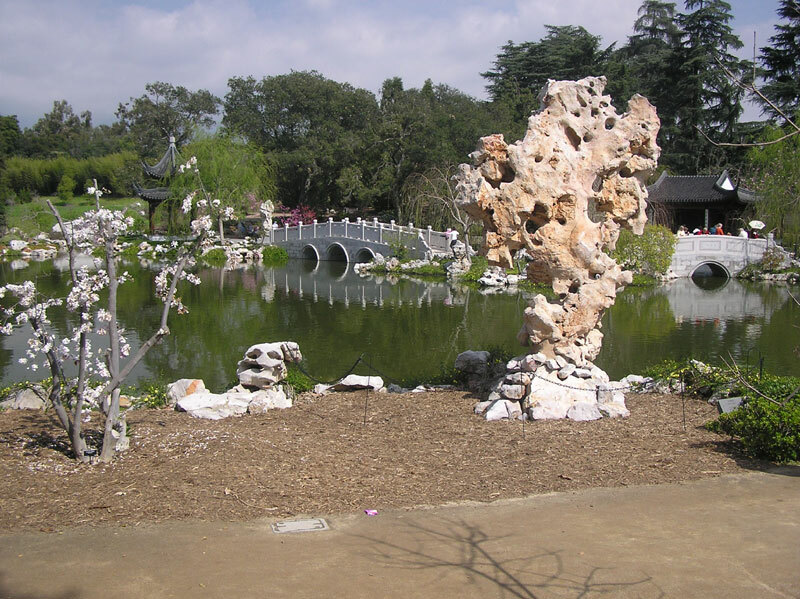 This is the Chinese Garden. 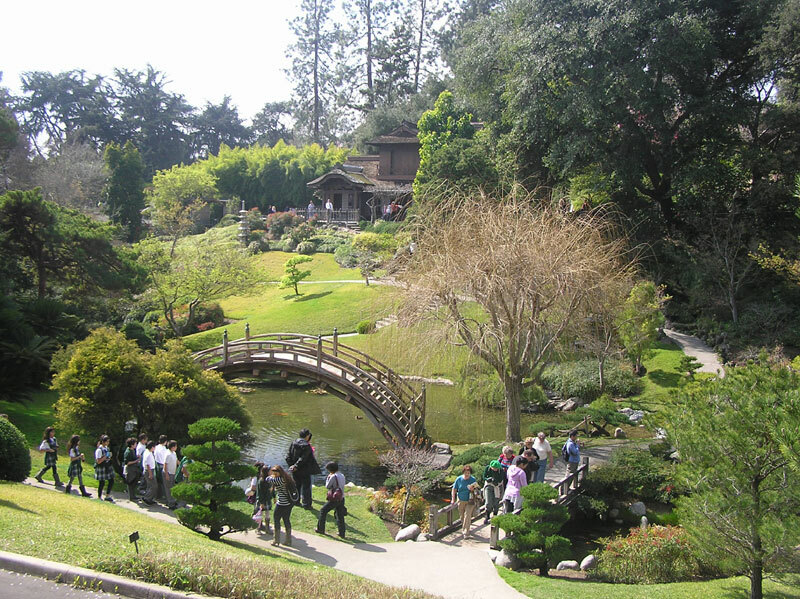 This is the Japanese Garden. 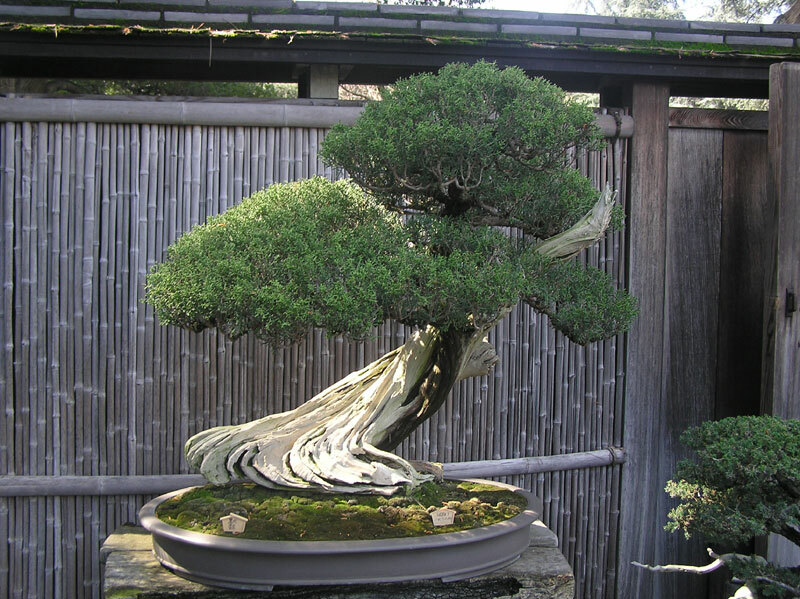 This is a California Juniper in the Bonsai Court, which is one of dozens represented here. 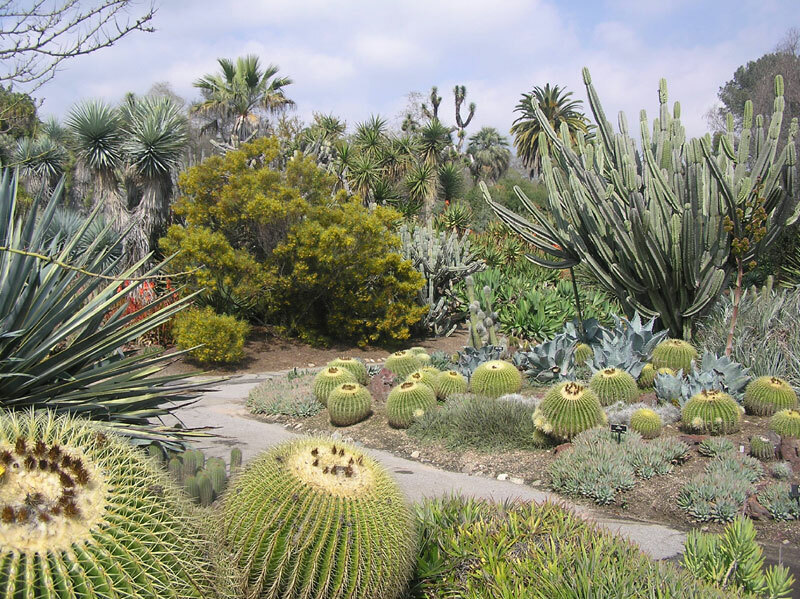 The Desert Garden is perhaps the most remarkable having a large outdoor grouping of mature cacti and succulents.